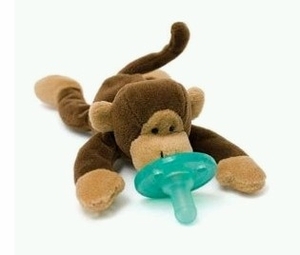 This Monkey Plush Toy Pacifier features an innovative patented design from Wubbanub that combines a BPA free Silicone Pacifier with a comforting soft toy. 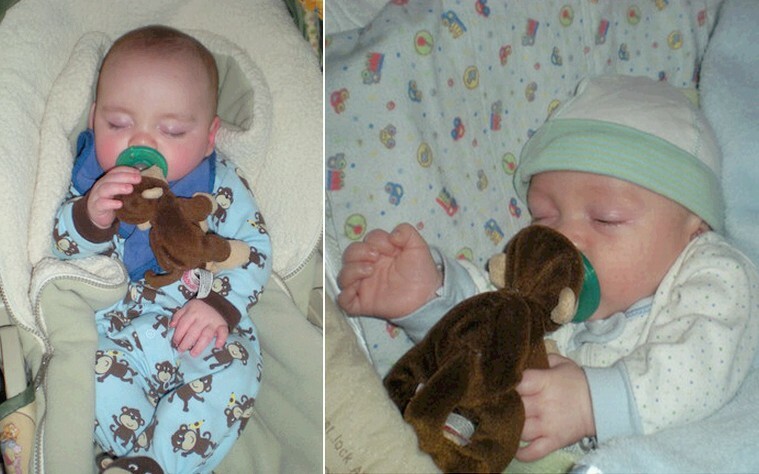 The delightful Monkey plush toy is secured permanently to the pacifier this prevents the pacifier from being lost, dropped or even forgotten! The cute and cuddly soft plush toy provides comfort and security to your infant. The pacifier portion is made of medical grade silicone-perfect that's perfect for latex allergies. This is a quality US imported product that is baby safe and meets all safety requirements.